A lead magnet is simply something that you give to your audience for free in exchange for them performing an action such as giving you their email address and sometimes other information too. Your main goal of providing a lead magnet from your perspective is to get them on your email list. But, it’s important to think about your audience’s goals too. Competition is fierce today so it’s more important than ever that you provide a lead magnet that really resonates with your audience in a way that makes them put aside the fact that they need to provide their email to get it. Smart consumers today know and expect that you will market to them once you get their email address so that gives them pause. If you want to overcome that, you need to offer a lead magnet that is second to none and solves a specific problem for them. Make creating a profitable lead magnet easy for your readers with this eBook/workbook combo. This meaty 6,287 word eBook would make a great info product that you can promote to your audience. It would be a perfect addition to the 30 Days of Crafting Your Lead Magnet PLR pack we offer, but works just as well as a standalone product. Edit it slightly as needed to fit your audience and your style, and you can have a brand new eBook up and ready for sale over the course of a day or two. Or take the content and use it to create a class or coaching program on the topic. Of course, you can also break the content apart and use it as you see fit. Break it down into three shorter reports to use as lead magnets, or create a long series of blog posts. No matter how you decide to use the content, your readers will appreciate this information on how to create a profitable lead magnet the easy way. 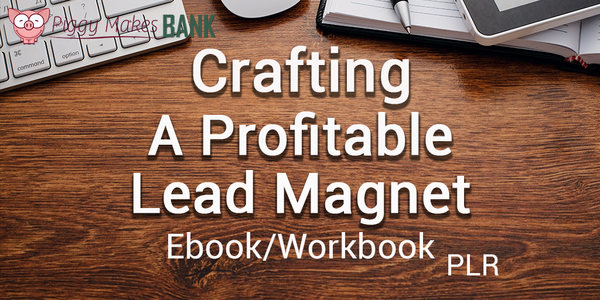 A workbook to help your readers learn how to create a profitable lead magnet. If you want to help your readers to grow their business, you can get this incredibly value-packed bundle for only $47. That’s way less than you’d pay a quality ghostwriter to write just a couple of articles for you. That's an ebook and workbook for just $47. 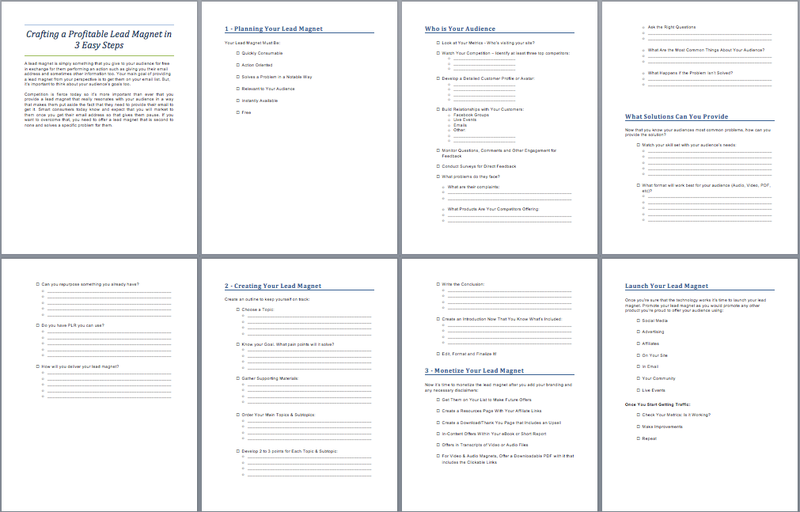 Give your readers the content they are looking for to grow their businesses with this PLR.